Conservative treatment basically means that no active treatment is done that is directly addressing the problem. Usually, patients who present with osteonecrosis of the jaw are started on antibacterial rinses (eg: Chlorhexidine gluconate mouthwash), antibiotics and oral analgesics. The patient’s physician (the one who prescribed the drugs/bisphosphonates taken by the patient) should be consulted when deciding whether to stop the patient’s bisphosphonate intake. However, this may not be of much help, as bisphosphonates stay in the bone for a long period of time, thus temporarily stopping its consumption will not prevent osteonecrosis. The part of the bone that has undergone necrosis is surgically removed so that it does not spread to the surrounding tissues. Then, the soft tissues are approximated and sutured together, making sure that no bone is exposed. In some cases whereby a large portion of the jaw bone is involved and thus removed, reconstruction can be done using bone grafts to restore the anatomical shape and some function of the jaw. How can we prevent osteonecrosis of the jaw? 1. If a patient is to be started on bisphosphonates, particularly cancer patients requiring IV bisphosphonates, any dental extractions or invasive dental procedures should be done prior to starting the patient on the medication. In other words, these patients should go for dental clearance before being started on bisphosphonates. The same principle applies for cancer patients requiring radiotherapy to the head and neck region. 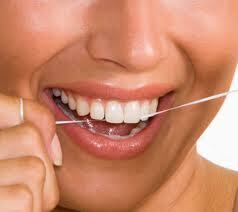 The extent of dental clearance depends on the patient and the dental practitioner. Dental practitioners should take into consideration factors such as the patient’s age, compliance, ability to maintain good oral hygiene and access to facilities/dental officer when deciding which teeth to save and which to extract and how to restore a tooth with caries. For example, posterior teeth, ie the molars, are often extracted as they are harder to be taken care of and caries are harder to be detected in these teeth. Any sharp cusps of teeth or sharp bony prominences are to be trimmed or smoothened. 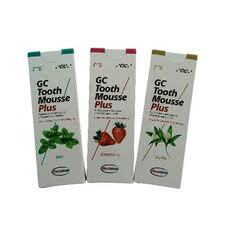 -use of Tooth Mousse is an additional bonus, as it can reverse early carious lesions. 3. Patients should inform their dentists that they are taking any antiresorptive drugs such as bisphosphonates. Dentists should then consider conservative invasive dental care in these patients. For instance, endodontic (root canal) treatment is preferred to dental extraction if the tooth can be saved. If dental extraction is needed, full mouth dental extractions or periodontal surgery should be avoided. As a step of precaution, it may be better to extract one tooth first and assessing the healing before proceeding with further extractions or surgeries. 4. Patients with periodontal disease should consider non-surgical therapy before agreeing to surgical treatment. Many patients taking bisphosphonates may undergo dental implants without problems. iii) Any loose pieces of bone should not be left but ought to be removed. Sharp edges should be smoothened to avoid future trauma to the soft tissues. v) Hyperbaric oxygen (HBO) therapy may also be used as it increases local tissue oxygenation and blood supply to the targeted tissues.